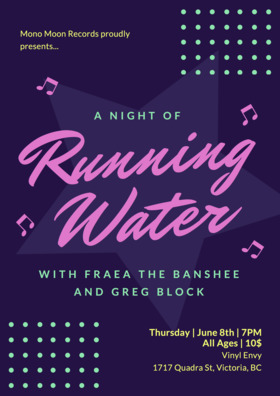 Running Water are playing their first big show in the shop and we're personally very excited to be hosting them! They played an awesome set at the Mono Moon Records Live House Show in Fernwood recently and have some great original tunes in store for you! 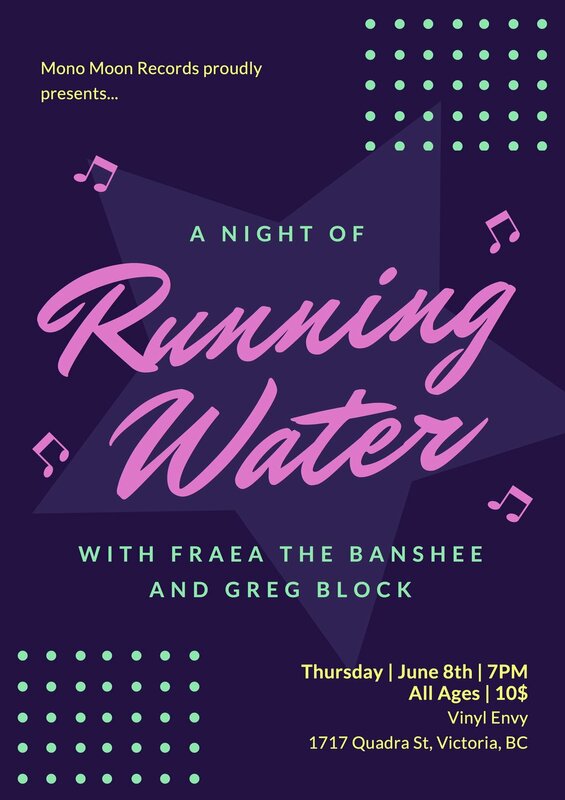 Greg will be opening the night up and warming up the crowd with a live solo set of great tunes for you!